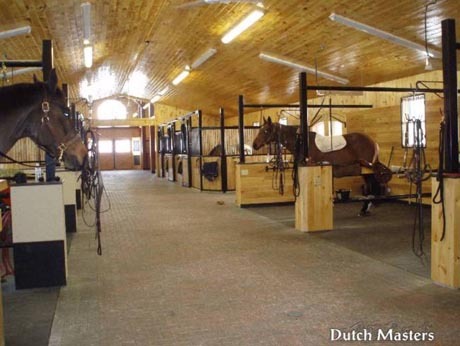 When you think of a typical horse barn you would not usually visualize barns in this manner. 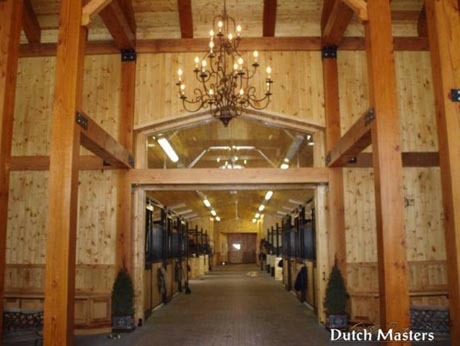 These barns though are horse barns that cater to higher end horses. 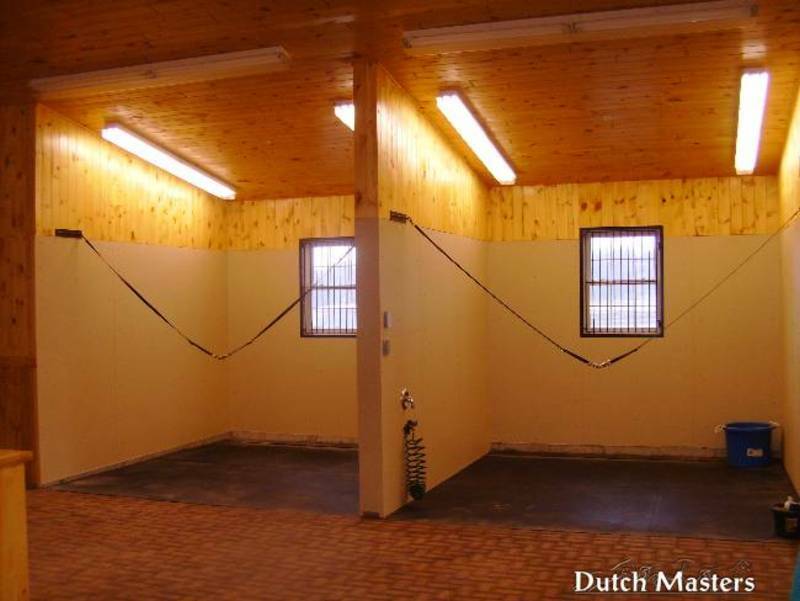 So this where our team of horse barn builders come in: Our clients are looking to steer away from concrete flooring (which can result in cracking, less traction, harder on the knees of the horses) and they are using more and more interlock in their barns. 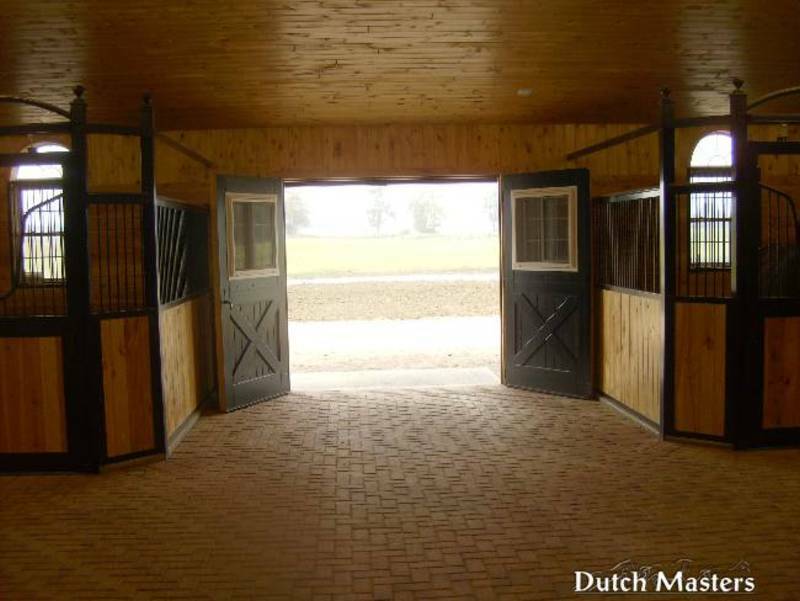 We love working with the contractors that put up these gorgeous stables and barns, because the end result leaves a lasting impression. 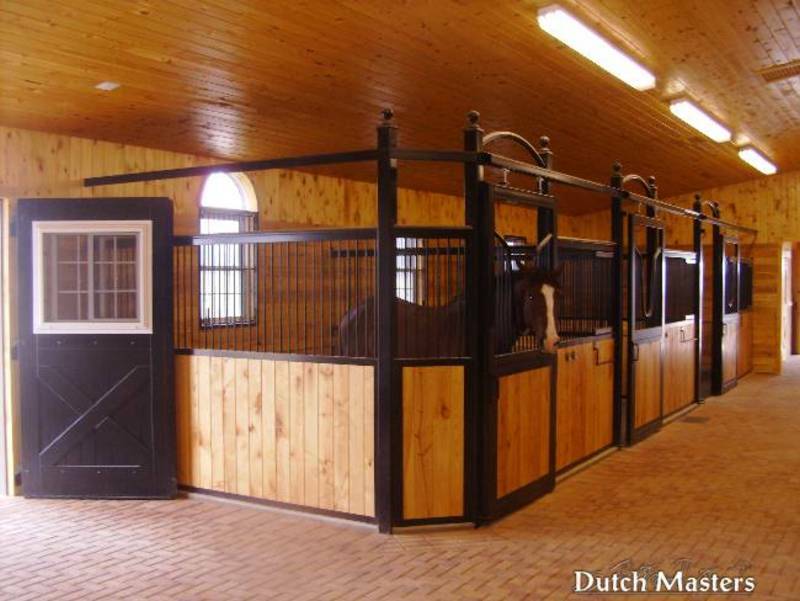 We have worked with all of the products used in these barns. We have used the traditional concrete interlocking brick, a rubber interlocking brick (awesome) and a clay brick that was sourced from the U.S. by the owner. 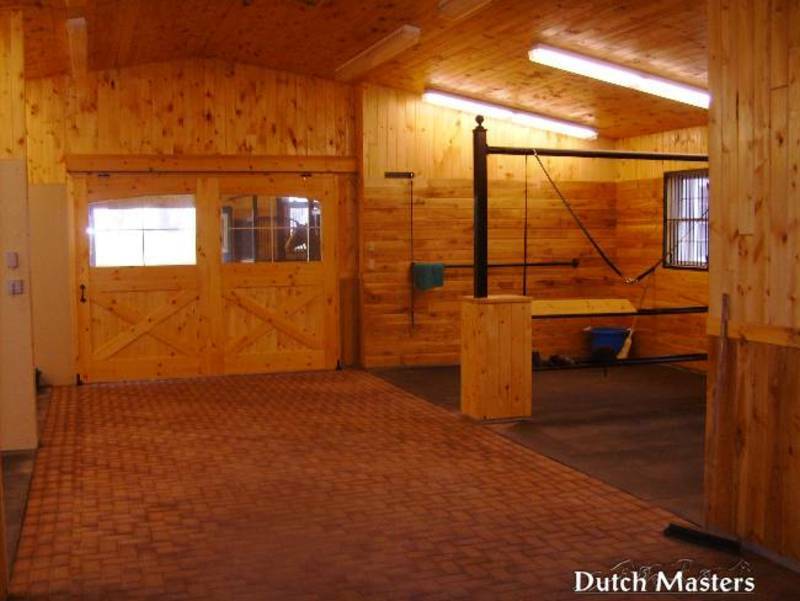 In this particular barn we used the traditional interlocking brick with a triple border in a dark colour.